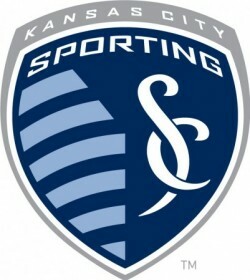 KANSAS CITY, MO (June 28, 2011) – Fresh ID expands their client roster with the signing of Sporting Kansas City and the Kansas City Chiefs. Fresh ID has completed several major projects for Sporting Kansas City including integrated rich media applications for live event viewing and interaction. Notable projects include the live viewing of the Ochocinco tryout, the official site for the team’s new stadium, LIVESTRONG Sporting Park and a Sporting Club Membership site that offers an unprecedented member experience. “We pride ourselves on working with the best local partners, and Fresh ID more than fits that mold. They not only bring great ideas and strategy, but they invest all of their efforts and interests in making a project successful. From the unveiling of the LIVESTRONG partnership to the recent launch of SportingMembership.com, Fresh ID has developed projects with great agility and care,” remarked Kyle Rogers, Digital Strategist with Sporting Kansas City. In a continuation of Fresh ID’s fast-paced growth, they recently added the Kansas City Chiefs to their client base, providing services that include a social voting application, social media consultation, custom Facebook design and a redesign of the Arrowhead Stadium website, all of which create crucial pieces in the Chiefs’ overall fan outreach strategy. “Kansas City Chiefs’ fans are passionate and we want to make sure we are leveraging every opportunity to engage and excite them. Fresh ID brings creative ideas to connect with our fans utilizing the best in user experience and digital solutions today,” remarked Lance Brown, Manager of Internet and Digital Media for the Kansas City Chiefs. “Fresh ID’s success is a result of Kansas City based companies supporting local businesses creating a mutually beneficial partnership that is rewarding for all involved,” remarked Lisa Qualls, Chief Executive Officer and partner. Fresh ID recently announced a new executive team member and address change. Tom Jenkins, Chief Technology Officer and minority partner, joined Qualls and Chief Creative Officer & founder, Kristi Colvin on June 13th, 2011. The company re-located to an office within the downtown Crossroads District at 18th and Oak. High fives to FreshId! You guys are a talented and awesome team! Way to go!